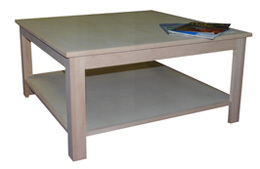 Our Euro coffee tables come in any size you can think of. You can get them with a solitary shelf, different moldings, drawers, even doors. The options are endless with our Euro coffee tables.